Rowcroft volunteers play a pivotol role in helping us provide our services across South Devon. Jonathan’s role sits within our busy fundraising team as he takes the lead on engaging with local and regional companies. 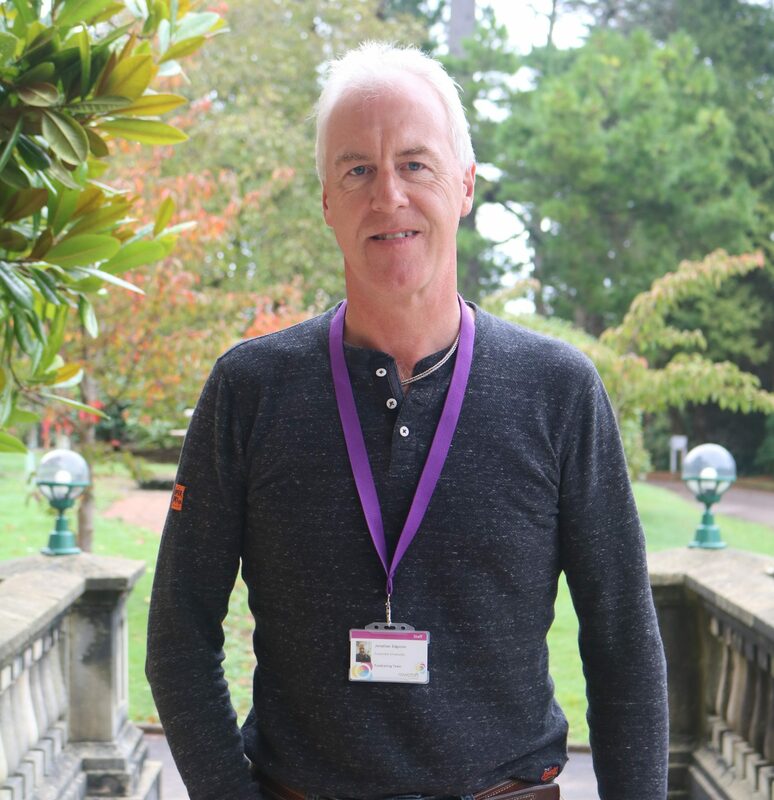 As a Corporate Ambassador Volunteer, Jonathan helps the hospice gain long-term corporate support, both financially and by involving staff from local businesses in fundraising events. We spoke to Jonathan about his experience as a Rowcroft volunteer. What do you enjoy most about being a volunteer at Rowcroft? To begin with, the atmosphere is really great here and I enjoy talking to potential supporters, those I already know and new contacts. I love the challenge of gaining their trust and support. I have been lucky enough to witness lovely amounts of generosity from businesses in the short time that I have been here. You really do see some outstanding people willing to walk to the ends of the earth to provide their local hospice with support, which is a pleasure to see. Is fundraising something that you feel passionately about? Yes, of course! I joined Rotaract in my 20s (a very long time ago) in support of my local community in Winchester. Since my recent retirement to Torquay in January, I have joined the Rotary Club of Tormohun, which supports those needing our help locally, nationally and internationally. Tell us your favourite moment to date whilst volunteering here. I am very fortunate in that I have many contacts with regional and national companies from my career as a Director of my manufacturing business in Stoke, which I sold in 2016. So this has made it relatively easy to contact companies who I knew from my previous working life. Western Power Distribution kindly sponsored the new website project on my first day at Rowcroft, we have also recently managed to agree sponsorship for two new Rowcroft vans with Baker Estates, worth around £20,000 over two years. It really is brilliant to be part of these partnerships, so I would say these are well up there with some of my favourite moments here. Although I have seen these outstanding acts of generosity, I feel that I am still in the very early stages with most companies in the area. I am hoping to continue to develop a number of key supporters over the next 2-3 years, who will choose Rowcroft as their charity of the year on an on-going basis. Why do you think local businesses feel so passionately about supporting the hospice? In my experience, most companies want to do their bit locally and without a doubt Rowcroft is at the top of their list of charities that they want to help. You are always up against how well those organisations are performing at any given time which may limit how much support they are able to give. This is something I understand from my days in business, but any support, be it financial or from giving their time is always gratefully received. What would you say to those who were thinking about taking up a volunteer role at Rowcroft? It feels great contributing to something that may help someone in need. If you’re thinking about volunteering in fundraising, please give it a go as it’s really satisfying and fun. You will be very well supported by the team who are dedicated and a laugh to work with! I am very happy to give my time and energy in support of Rowcroft. Hopefully what I am doing is making a difference and I look forward to expanding my contacts and the companies supporting us over the coming years.